When Luxury meets simplicity, you can always expect a sweet sense of uniqueness. 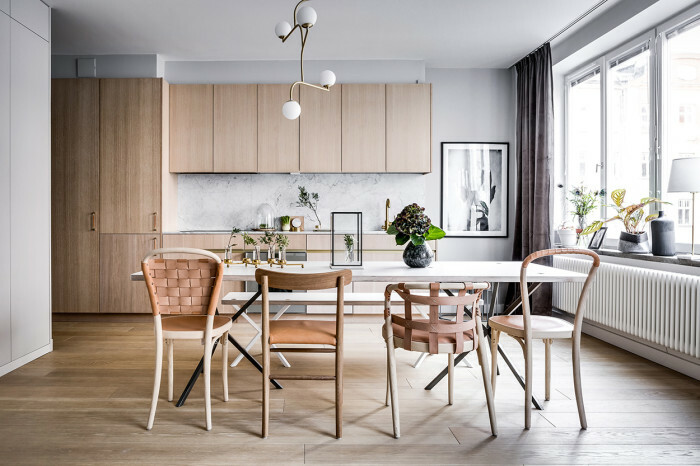 This is what is experienced in one two-room apartment in Östermalm. 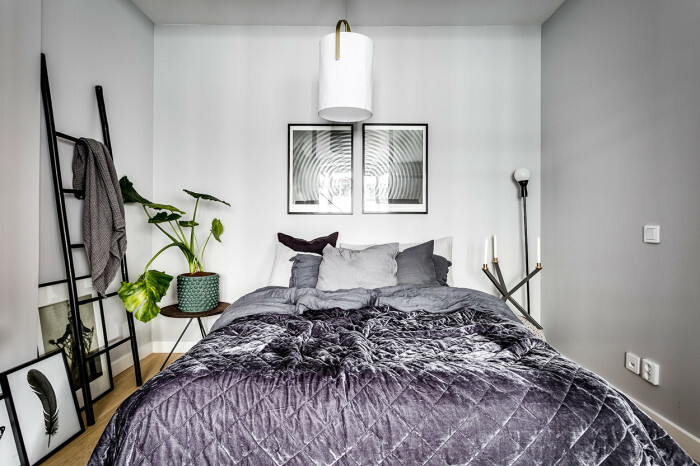 The apartment might be small in size, but it has a sweet design that utilizes every aspect to make it seem bigger while still delivering an amazing style. 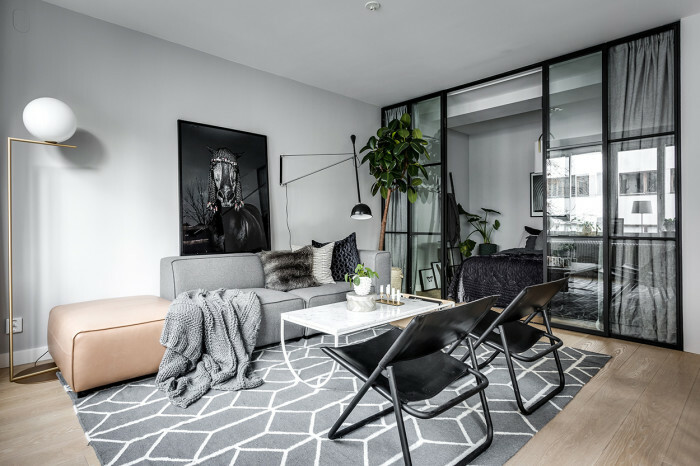 The overall theme is gray, which also brightens the space with a great balance. 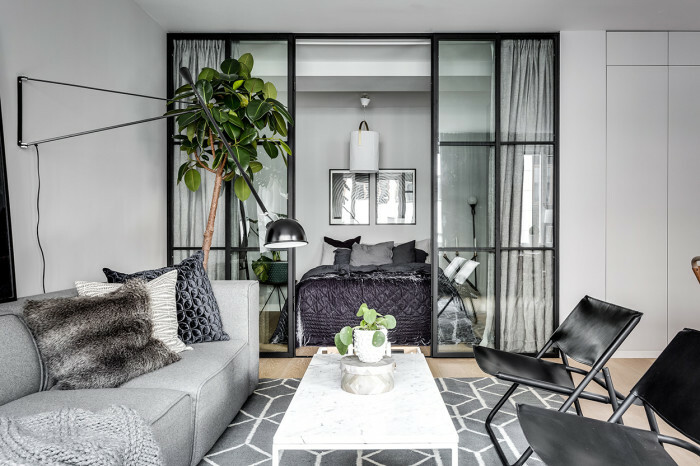 The walls are light gray, and they match perfectly with the black elements of the interior design. The living area features a cozy light gray sofa, a patterned carpet, along with black foldable chairs. 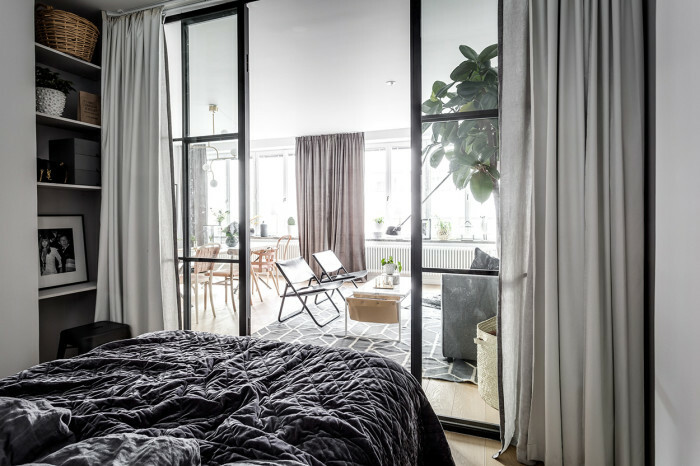 A glass wall is included to split the bedroom from the living room. There’s also heavy blackout drapes matching the gray-themed walls. The kitchen has a simple design, which also looks spacious enough. 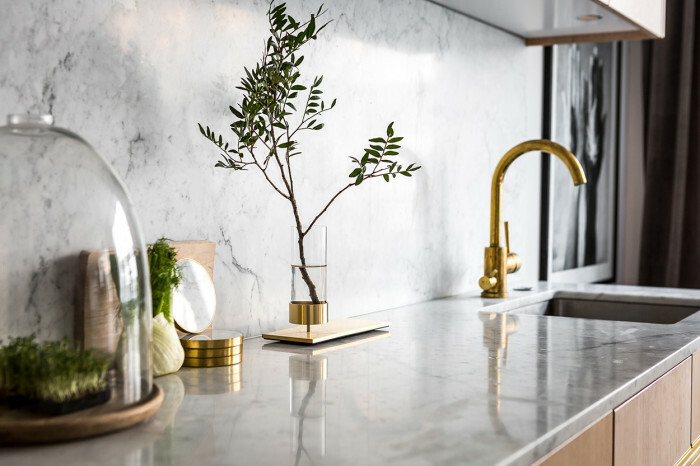 It comes with untreated wood details, along with a marble countertop with a brass faucet. There are also some plants integrated around the apartment to enhance the airiness and uniqueness of the design. Even though it is a two-room apartment, it looks quite spacious, along with an unmatched design.